Apsys has been carrying out the modernization of the „3 Stawy” shopping center over the last six months. The mall was technically and visually upgraded. The total cost of the investment amounted to PLN 12 million. Union Investment Real Estate starts the comprehensive modernization of „3 Stawy” and extends lease agreements with two major tenants. The 1999-built shopping center will be upgraded by Budecon, which has been chosen as a prime contractor of the undertaking worth PLN 12 million. 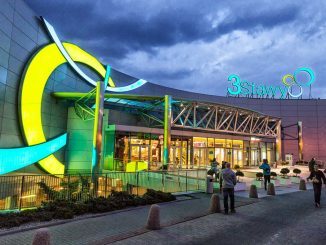 Union Investment Real Estate, an owner of „3 Stawy”, signed a contract with the shopping center’s manager Apsys Poland for investment management services of the mall modernization. The worth of the undertaking exceeds PLN 12 million. The IMB Asymetria architectural studio from Kraków prepares a detailed design of the refurbishment of the 3 Stawy shopping center. The project was ordered by Apsys Group, the mall’s manager.